United Motors is all set to launch a brand new 800cc car and a 1000 cc pickup in Pakistan. The company is the 2nd largest bike selling brand in the country, and now, with venturing into the car manufacturing domain, it will surely diversify the local auto industry. According to our sources, United Auto Industries will be launching the first variant of the new car in first six months (H1) of 2018. Our sources have also revealed that United Motors (Pvt) Ltd has teamed up with a Chinese automaker to produce these two new vehicles for the Pakistani consumers. The company is building its own production plant in Lahore which is near to completion and I think this step is promising for local automobile market. The company will market its products with local brand name “UNITED”. United Auto Industries is aiming to attract consumers who buy 800cc cars like Suzuki Mehran with its new hatchback. On the other hand, the United pickup will be an addition to an already highly competitive under-1000cc loaders/pickups segment. 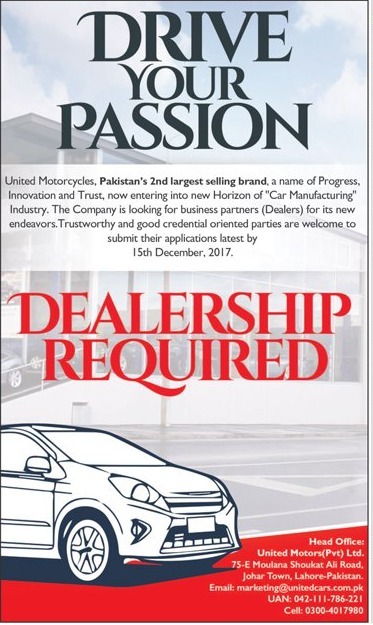 United Motors is also looking for interested 3S dealership candidates for their new vehicles. In my opinion, the launch of the locally manufactured car will bring about significant change in the local car market; more options will be available to people to choose from. And keeping in view the progress of company’s bike sale and production, it is safe to assume that the car too would do well for the company. 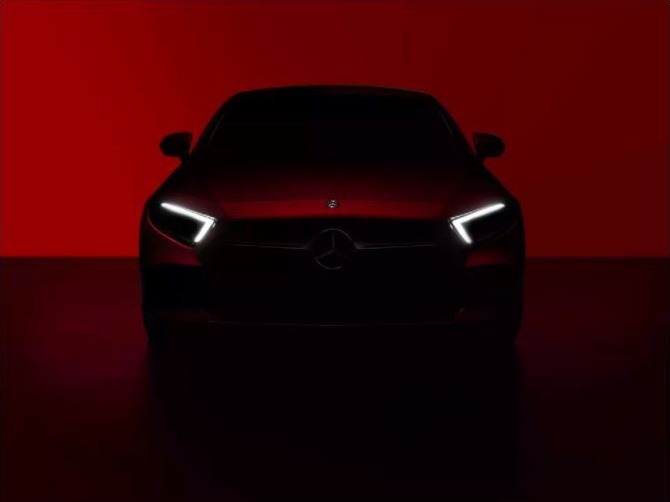 Let us wait and see how consumers receive this new car and the new pickup. Please stay far away from Zoyte Z100. As they had announced the rate over 1 million. If United wants to take control of market then it will have to keep rate around the price of Mehran. Its the only way to kick out old Mehran. I dont’ know why people post their “requests” here in this forum.. this is just sharing information.. not cooking right for you, “Patti zara taiz rakhna”!!!! I dont know anything…. United Motors i just want two donkeys in my 1000cc car hood 8×8 custom made …..
i Hope you will be fine and good. I pray for you and your’s Company ALLAH Subhan wa Taala Bless you.I appreciate you, You invest money and time in Pakistan. It is time to increase your knowledge. People share their “requests” on forums/blogs because it is social media. Social media gives an outlet to the common person to express his/her views. If the forum was just sharing information in a one-sided manner, it would not feature a comments section. Comments section is here to see what the readers think. And after all, it is a way to gauge the consumer mindset. Staff and management of various companies do read the newspapers, blogs etc. If the existing players in the market do not cater to the “requests” an altogether new business idea may be in the cooking to deliver and create customer value. With some “taiz patti”. Even with the same price, it is going to be a challenge. Mehran is well-established in the roots of the nation. Every mechanic knows it, everybody learnt driving on it, spare parts are available in the remotest parts of the region. Allah tumhain gharat karae . Please have automatic variants ! We need to instill this sort of thinking in people ! i hope they copy Suzuki mehran because they also copy Honda CD70 . or hope so lunch in new shape anyhow 800cc is heavy engine (not fuel efficient) because now 650cc available in pakistani market. When is it expected to launch ? Any idea ?